UPTU Counselling 2015 shall begin soon as the UPSEE result has already been announced by the conducting body. Every year, UPTU conducts UP State Entrance Examination i.e UPSEE for admission to its various Under Graduate courses. UPSEE 2015 had been successfully conducted by UPTU and result for the same is out now and available online on the official web page of the university. UPTU Counselling 2015 is a step wise process and it’s important to completely understand each and every step carefully to get the UPTU Counselling 2015 process correctly. Every candidates has some doubts and queries related to UPSEE 2015 Counselling and we have received lots of queries in a past few days. Here we broke the entire UPTU Counselling 2015 Process into five steps, so you just need to understand five simple steps mentioned below. Payment Mode: Payment will be made by DD in favour of ‘Finance Officer, UPTU, Lucknow’ payable at verification centre city of the candidate. Candidate need to register himself/herself on the official web page of the university for the UPTU Counselling 2015 Process. A candidate just need to enter few asked details correctly to finish the registration process and then a unique registration number will be generated on the screen. Take a print out of this registration number for further proceedings. Counselling letter will be available for those candidates who qualifies the entrance examination on the official web page of the university. Candidate can easily download his/her counselling letter from the web site of the university by entering course, Roll Number and Date of Birth. It’s mandatory to download counselling letter, a candidate with out counselling letter will not be allowed to appear for the counselling process. Candidates who qualifies the UPSEE 2015 have to submit their document for verification purposes as per the schedule which shall be available soon. Candidate need to submit below given documents in original along with photocopies for verification process. List of Document verification centers where candidates will submit their documents is out now and available here. UPSEE 2015 Online registration slip (for JEE main candidates only). Certificate of being the Sons / Daughters of defence personnel of U.P. either retired (superannuated) or killed / disabled in action or defence personnel posted in U.P./defence personnel domicile of U.P. & posted outside U.P. Only those candidates who will appear for the document verification process shall be allowed to proceed to next step i.e Choice filling. Under this process, a candidate will be allowed to fill colleges in which he/she would like to take admission. This process is completely depend on candidate’s choice and he/she can fill any number of colleges, as per his/her choice, there is no restriction. The choice of candidate will be considered and seats shall be granted on the basis of their rank and number of seats available in that college. In case a candidate is not get any college of his/her choice, then he won’t be allowed to choose any college further. Choose colleges appropriately by considering the highest probability of being successful. Candidate can fill any college as per his choice..
Change in the selection of colleges shall be allowed till last date of choice filling only. After that a candidate won;t be allow to make any further changes. Choice filling of colleges shall be done at centers only whose list is out now and available here. Choose any college by keeping your rank and possibility of getting that college. Any verification centre can be approached by the candidates for help in choice filling during the specified period. Seat allotment will be done on the basis of rank secured by candidate in UPSEE 2015 and the colleges choose by candidate during choice filling process. Check and print the UPSEE 2015 Seat allotment letter from the official web page of university by using login credentials. Report at the verification center to confirm the allotted seat with the allotment letter and a DD for as specified, and get documents verified. Pay UPSEE 2015 Admission Fee by DD in favour of ‘Finance Officer, UPTU, Lucknow’ document verification centre in the city. Candidates who qualifies the UPSEE 2015 and JEE Main 2015 have to confirm one seat while surrendering the others. Candidate has to appear for the confirmation of allotted seat. Otherwise, the seat shall be forfeited. The process of UPSEE 2015 Seat Allotment consist of three phases. Special phase for SC/ST/OBC candidates and for SC candidates there is also an additional special phase. Every candidate who qualifies the UPSEE 2015 must have some queries or questions related to UPTU Counselling 2015. 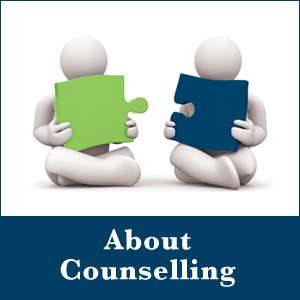 In a few recent days, we have received many queries from candidates, so here we tried to provide answer of frequently asked questions FAQ’s about UPSEE Counselling 2015. In case you have any other question except those answered below, then share you can share with us. We hope that this article is able to provide a solution of all your queries about UPTU Counselling 2015, UPSEE Counselling Fee and Payment method, UPTU Counselling 2014 Dates. In case you have any other query or question then you can easily share with us through the comment box. We shall try to give you solution as soon as possible. Connect with us through Facebook to keep yourself updates regarding all the latest happenings in UPTU. When should I start preparing for my documents? . Will I be eligible in counselling if I submit last year’s character certificate ?And most important ,what are the full forms of the UPFF,UPAF categories in upsee counselling ? I do not have the photocopy of registration slip and bank receipt which we had to send via post after filling the form. Do I need it during document verification? From tomorrow document verification is going to start till now there is no counseling letter on net. will the confirmation fee rs 500 is refundable , is possible than how? sir pleas rply soon………..